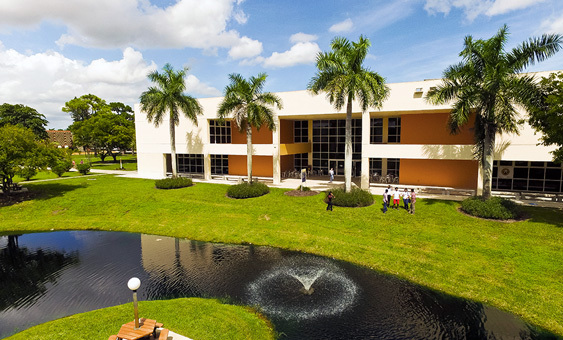 Catholic-affiliated Saint Thomas University in suburban Miami Gardens is a career-oriented liberal arts school with an extraordinarily diverse student body of over 2,400. Students here look forward to the annual Spring Ball. What is a typical St Thomas University student like? Describe the type of person that should attend St Thomas University. What are the top 3 reasons someone should attend St Thomas University? What was a typical St Thomas University student like in high school? Describe the type of person that should attend St Thomas University. St. Thomas University was founded in 1961 as Biscayne College by the order of the Augustinian Friars. The college was accepted as a member of the Southern Association of Colleges and Schools and first accredited by the Commission on Colleges in 1968. Through continued growth and development, Biscayne College earned university status in 1984 after the addition of 10 Master degree programs and the opening of the School of Law. The University came under the sponsorship of the Archdiocese of Miami in 1988, conferring upon St. Thomas the distinction of being the only Catholic Archdiocesan sponsored university in the State of Florida. When University status was attained, the name of the institution was changed to St. Thomas University to reflect its Cuban heritage. The University traces its roots to the Universidad de Santo Tomas de Villanueva, founded in 1946 in Havana, Cuba, by American Augustinians with assistance from European Augustinians. When the Castro government expelled the Augustinians from Cuba in 1961, several of the American Augustinians came to Miamiwhere they founded Biscayne College. Given their experience in Cuba, the University's founders, and specifically its first president, who was vice rector of Villanueva, were intimately familiar with teaching students from different backgrounds. That commitment to student diversity continues strongly today. The St. Thomas University School of Law is one of only two accredited Catholic law schools south of Georgetown University's School of Law in Washington, DC. The School of Law at St. Thomas was fully accredited by the American Bar Association in February 1995, and offers the Juris Doctor degree (J.D.). Chief Marshall for the Southern Region U.S. Marshals Service; and John Dooner, CEO of Interpublic Group of Companies. Envision Your Future Tomorrow is what you make of it, so make it count. St. Thomas University is the shortest distance between you and your goals. We are all about affordable opportunity, with unique cutting edge majors to put you right into a successful career. The professors and facilities are second to none, and from day one, You Matter. We are the open door to your career. No Matter Where You Want To Go In Life…You Can Get There From Here Committed to developing leaders for life and valuing that each applicant possesses unique characteristics for academic success, the university in addition to students’ previous academic performance and when required, standardized test scores, takes into account other attributes in making the admissions decision. This holistic approach to admissions allows each applicant to be reviewed on their own merits and strengths. Applicants are admitted on the basis of their potential to succeed at St. Thomas University. We are proud of our University campus that lends to a successful educational journey. Come see for yourself. What are the top 3 things that students do for fun at St Thomas University? Campus housing is available for undergraduates. Housing deposit : $225.00. Housing deposit is refundable in full if student does not enroll.. Freshman allowed to have car. No pets. The average student pays $18,379 for tuition, fees, and other expenses, after grants and scholarships. Total stated tuition is $26,370, in-state and on-campus, before financial aid. Learn more about financial aid at http://www.stu.edu/financialaid/tabid/219/default.aspx. Estimate the net price for you at http://www.stu.edu/financialaidcalculator/tabid/2064/default.aspx. 62% of full time students continued studying at this school after freshman year. St Thomas University participates in the NAIA Division II for college athletics. Want more info about St Thomas University? Get free advice from education experts and Noodle community members. Are there many rich people there?